This is an old assignment from last year, where we need to draw a emotion on paper. I choose the easy way with this assignment for T&V. 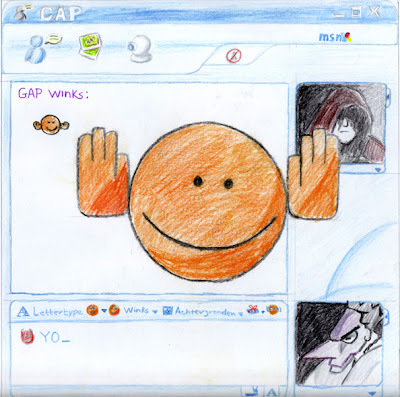 I drew the MSN chat window with a buzz smiley. The teacher gave me a high grade for this cause he could easily see which emotion I showed in this drawing. Also because the chat window look very real from a distance and also pop up from the rest of the drawing from other students.